China may be inheriting all of the blame for the global market meltdown, but it is just one piece of the puzzle that investors and policymakers alike are trying to figure out in terms of the broader direction of the global economy. Last year, it was Greece's financial woes to blame; now it is China. Investors may be running for the proverbial exits in China following a very rough start to the year, but contrary to popular belief the Chinese market is still a massive long-term buy as opposed to a catalyst for a broader global market meltdown. China may be inheriting all of the blame for the market meltdown, but it is just one piece of the puzzle that investors and policymakers alike are trying to figure out in terms of the broader direction of the global economy. Last year, it was Greece's financial woes to blame; now it is China. 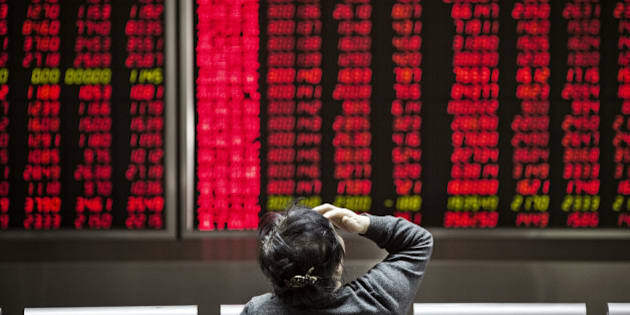 Whether China grows at a seven per cent, six per cent or even five per cent pace isn't really the issue, or catalyst, for the stock market rout that has washed over world financial markets since the New Year. What it is really about is the United States taking away extra stimulus that it feels is no longer needed to support its economy, and China increasingly finding itself needing to add more stimulus to support its own growth. Lost on many investors and market-watchers is that China is in the process of transitioning from an emerging to a developed economy. Where this is most evident is in the exchange rate. As most Canadians are acutely aware, the U.S. dollar has appreciated substantially, not only against the Canadian loonie but against most other currencies in the world. The reason is simple: the U.S. economy appears to be the least sick of the lot, and interest rates are slowly going higher, giving more of a return on U.S. dollar-denominated assets than elsewhere. Unlike here in Canada, where the Canadian dollar rises and falls based on supply and demand, China's currency, the yuan, is pegged to the U.S. dollar. Despite reducing the value of its currency several times -- i.e. lowering the level that the yuan is pegged at -- the U.S. dollar's significant gains over the past four years has massively increased the price of Chinese exports, hurting Chinese exporters, whose goods have become much more expensive for overseas buyers. Bad news, to be sure, but not the reason to blame China. Lost on many investors and market-watchers is that China is in the process of transitioning from an emerging to a developed economy. They are moving up the food chain and away from manufacturing sub-standard items towards a more diversified economy driven by domestic consumers as opposed to international trade. This transition is necessary for the Chinese economy as they are limited in growth when it comes to exports, so they must slowly turn their focus to those sectors that will benefit their economy and allow them to continue to thrive. This change will not be linear, nor will it happen overnight. China will still be an export-driven story in the short term, similar to how Canada is slowly transitioning away from oil and resources and towards manufacturing. China's ongoing transition from an exporter of cheap plastic toys and low-cost parts to a producer and exporter of higher quality goods is necessary for the county's long-term prosperity. The issue has been the market's reaction to some of the short-term moves the Chinese government and policymakers have made as they try to transition the economy. The transition will ultimately prove beneficial for both the Chinese and global economies, as it will create industry opportunities that have not been nurtured in the past, such as the services industry and the healthcare sector. This will likely take years -- perhaps even a decade -- to yield results, but thanks to its massive workforce, huge fiscal and monetary resources and general know-how, China is undoubtedly capable of accomplishing this transition and recovering from this market plunge. On the domestic front, consumer spending is on the rise, thanks to a growing number of goods and services available for purchase and, more importantly, rising wages and government assistance with our equivalents of medicare and old age pensions that has encouraged Chinese households to save less and spend more -- creating more opportunities for companies. On the external front, China is increasingly opening up to freer trade with numerous countries and regions. For investors that have not fully lost faith, there a variety of ways to gain exposure to China -- via companies that are based there or nearby, Hong Kong, for instance, or in global companies with potential to benefit from the growing Chinese consumer market. This may include companies such as Procter & Gamble -- because demand in China for toilet paper and tooth brushes will inevitably only grow -- or even CN Rail, which will benefit as products from China continue to be shipped along its tracks. Overall, exposure to China is necessary -- not only to have a properly diversified portfolio but also to be invested in the global economy. Being aware of the transition taking place in China can help investors build their portfolios around sectors that will be positively affected both short and long term. It may seem like all is lost right now -- but in reality it is actually the best time to invest.